We are not the type of people who sit still too much on holidays so last year when we went to the Algarve we hired a car and got around! We were based in Portimao/Praia da Rocha. Here are our top day trips from the Algarve (in no particular order). Cape St Vincent is the most westerly point on the European Mainland, you can visit the lighthouse there and get blasted by the Atlantic winds. The view are magnificent. There’s a maritime museum I highly recommend getting a churro from the food vendors outside. At Sagres we stopped at the Fortaleza Sagres at the southern tip of the Sagres Peninsula, which was built to protect the town from raiders from North Africa. When we were there there was building work being carried out and the highlight was climbing the ramparts. 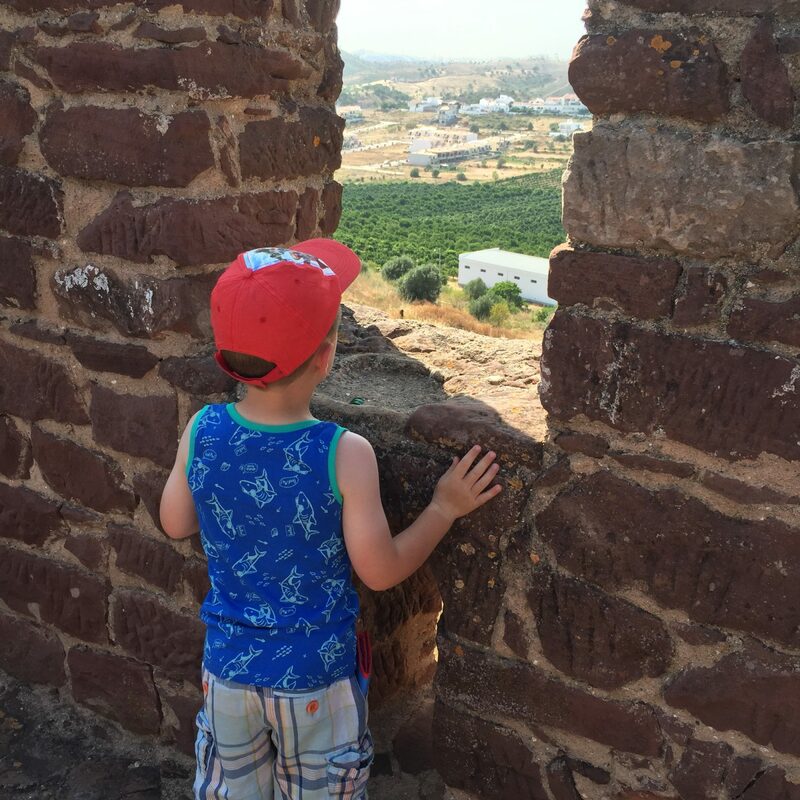 The fort is of historical significance as it was from here that Prince Henry the Navigator started his expeditions in the 15th century expeditions to the uncharted seas around the western side of Africa, which heralded in the golden era of Portugal exploration. Entry is €3 per person, driving time from Praia da Rocha: 50 minutes. Don’t miss the underground exhibit of local animals. 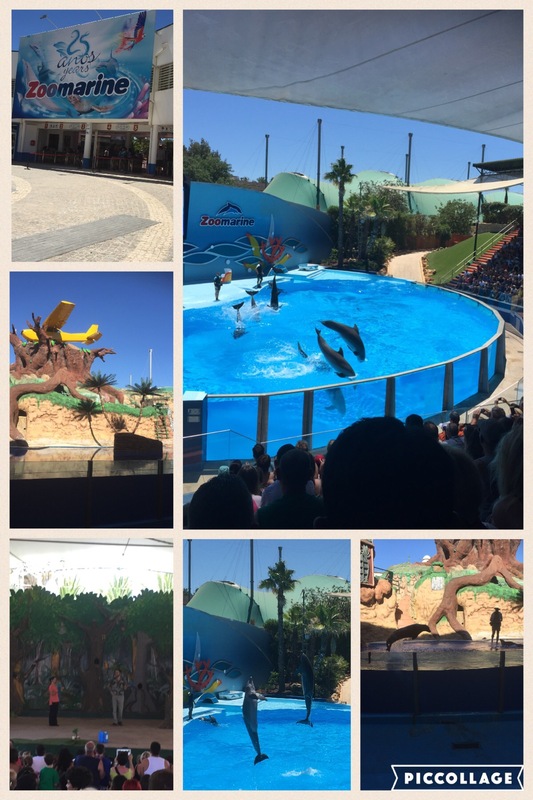 I’ve written all about Zoomarine already, I’d highly recommend it as a great day out for all the family, with shows, an aquarium and water slides. Read all about it here. This was our “big trip”, we tend to do one on each holiday. Seville is about a 2.5 hour drive from Portimao and it’s motorway the whole way. We left early to go there and came back in the evening (note the Spain is bizarrely an hour AHEAD of Portugal time wise so we thought that we were arriving at at 10.30am but it was 11.30am). We found the drive easy although the motor way Seville is a beautiful city, we did an open-top tour bus to see all the sights (in 40 degree heat) then walked from ice-cream shop to ice-cream shop along the streets. For more information see Visit Seville. There’s always something on the tourist office fliers that catches the eye and the Santa Bernarda pirate ship did it for me. It’s an old fashioned wooden pirate ship (just like Bucky in Jake and the Neverland Pirates- remember that time I made a Bucky cake?) 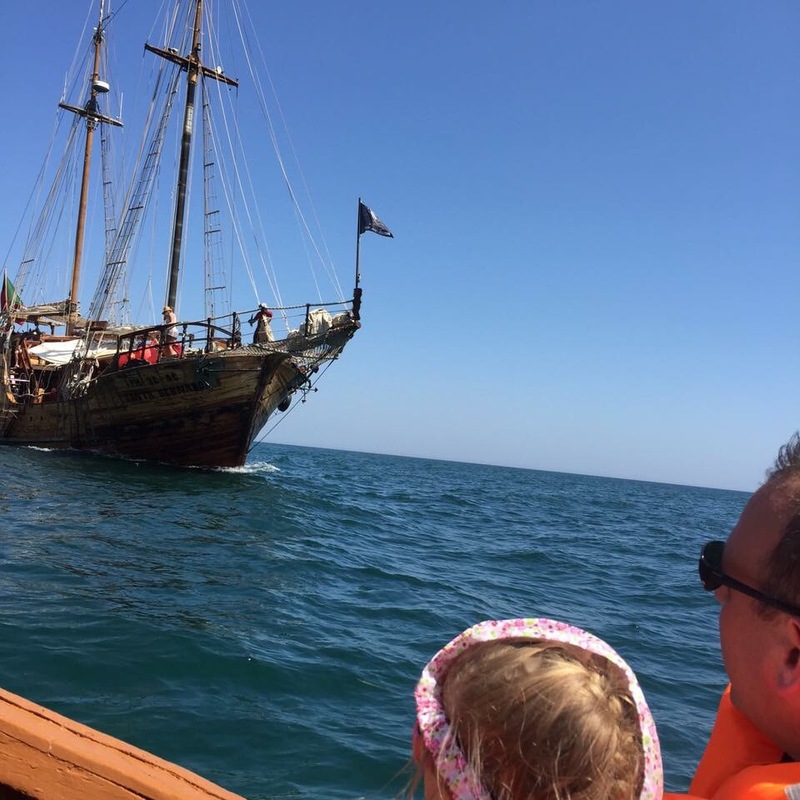 and the crew aren’t especially piratey but it’s a lovely excursion up the coast from Portimao past Carvoeiro. The boat then docks and the passengers are given lifejackets and board little motorboats and we explored caves getting inside and very close. It was an amazing experience, if little scary for me as I’m not a great swimmer and I was clinging to the kids to make sure they didn’t get over enthusiastic and jump overboard on the tiny boat!) On return to the main pirate ship there was the option to swim in the open sea (not for me) and there was a small snack bar which the kids pestered us to get them things from. We chose the Caves and Sailing Option which costs €35 per adult and €20 per child aged 4-12. It’s not a cheap day out but the caves element made it a holiday highlight that the kids are still talking about. Book online before you go HERE. Have you done any of these trips? What was your favourite? Or is there somewhere else you’d recommend? We visited the Algarve a few years ago and had a great day at Slide and Splash. Never got round to doing Zoo Marine but everyone said it’s a fabulous day out. We opted for Zoomarine over Slide and Splash as our kids were young, I’d try it next time.